If you have suffered an injury while working in a hospital and didn’t receive the proper care, we encourage you to reach out to a workplace injury attorney in Lancaster. On behalf of Koszdin, Fields, Sherry & Katz posted in Workplace injuries on Friday, July 06, 2018. It’s no secret that the US is undergoing an opioid crisis. What is being kept under wraps is how violent American ERs are becoming. Emergency rooms are on the front line of emergencies. They see a range of medical cases, ranging from vehicle accidents and gun shot victims to heart attacks and strokes. The people who work in the ERs are valuable assets, from the doctors and nurses to the orderlies and sanitation workers. With the rise of the opioid crisis across the country, attention needs to be focused on how much danger ER employees are in every day they go to work. Overdose patients can become violent and injure themselves as well as hospital employees. If you work in a hospital and have been hurt by a patient, but your employer does not recognize the injury, then you may need to contact a workplace injury attorney in Lancaster. The law firm of Koszdin, Fields, Sherry & Katz is ready to handle these types of cases. Violence in the ER is not a new phenomenon. Most emergency departments around the country employ some type of security, whether it is private armed security or even police officers. ER staff has always had to deal with potential violent situations arising from someone they are treating. From gang violence to people who are inebriated, ERs across the country face unpredictability every day. There are also many common medical emergencies that can cause an altered mental status, ranging from low blood sugar to mental illnesses. Though patients often don’t realize it, they can become dangerous in these situations. Now, the opioid crisis is fueling even more ER violence. While many patients who have overdosed are brought to the hospital unconscious, their status can change quickly, especially if they are administered naloxone, commonly called by its brand name, Narcan. This drug can quickly reverse the effects of an opioid overdose. Often, a patient wakes up not knowing where they are and fearing they will be arrested. This can lead them to become violent with everyone around them. Hospitals should be focused on the safety of their staff and patients. Most hospitals have protocols in place to handle potentially violent situations. Unfortunately, life in the ER is unpredictable and unexpected things happen. If you work in a hospital ER and have been injured by a patient, you need to report the injury no matter how minor it may seem. If proper procedure is followed, you will receive medical attention to evaluate the injury and a determination will be made as to whether you need time off and whether you will need follow up medical care. Sometimes, hospitals choose not to follow proper procedure, especially if they deem the injury minor. 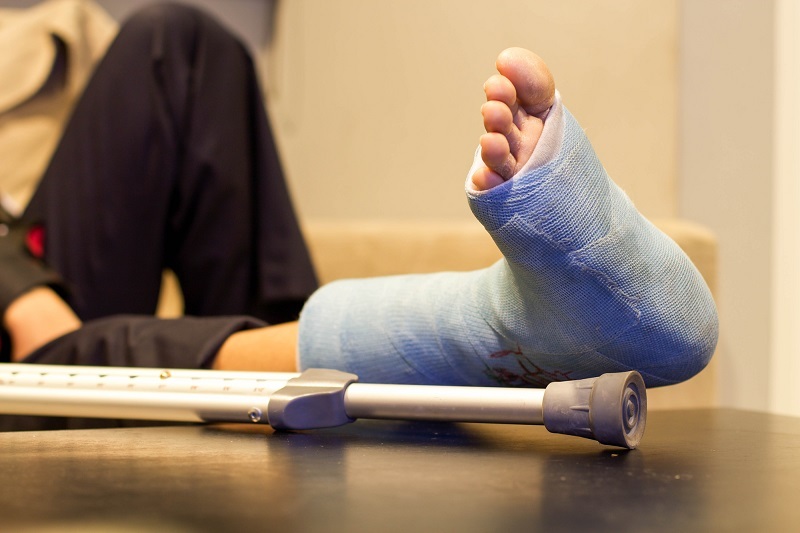 Often, what seems like a minor injury at first can lead to larger complications down the line. Sometimes, those complications could have been prevented with early medical treatment. If you have suffered an injury while working in a hospital and didn’t receive the proper care, we encourage you to reach out to a workplace injury attorney in Lancaster. At the law firm of Koszdin, Fields, Sherry & Katz, we understand that your livelihood and future are at risk due to injuries like this. You have rights, and we want to help you learn them. Whether you are owed workers compensation or more, you can reach out to us by clicking here or calling one of these numbers: 818-812-5639 or 800-747-3447.